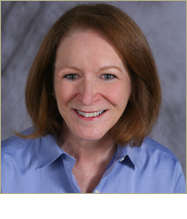 Dr. Clark-Stucky first began seeing patients in 1974, providing her a wealth of knowledge and experience while dealing with a great variety of cases over the decades. She is a licensed Marriage and Family Therapist and board-certified Diplomate in Clinical Social Work. After receiving her master’s and doctorate degrees in Clinical Social Work, she started a private practice working with children, adolescents, and adults. Because Dr. Clark-Stucky works with a wide variety of ages and life stages, the care you receive is individually tailored to meet your needs. There is no such thing as a “one size fits all” therapy. Many people are reluctant to seek help for emotional difficulties, but there is no need to “go it alone.” Dr. Clark-Stucky can make it easier for you to adjust to a traumatic event or a new life situation. She has had years of experience in diverse settings such as schools, clinics, hospitals, and private practice. Currently, she is highly sought after as a public speaker for her expertise on matters such as marriage, depression, stress management, and adolescence. Whatever your needs, Dr. Clark-Stucky will work with you to find a solution that will address both your physical and emotional well-being. Copyright © Pat Clark-Stucky, DSW, LCSW, 2014. All rights reserved.